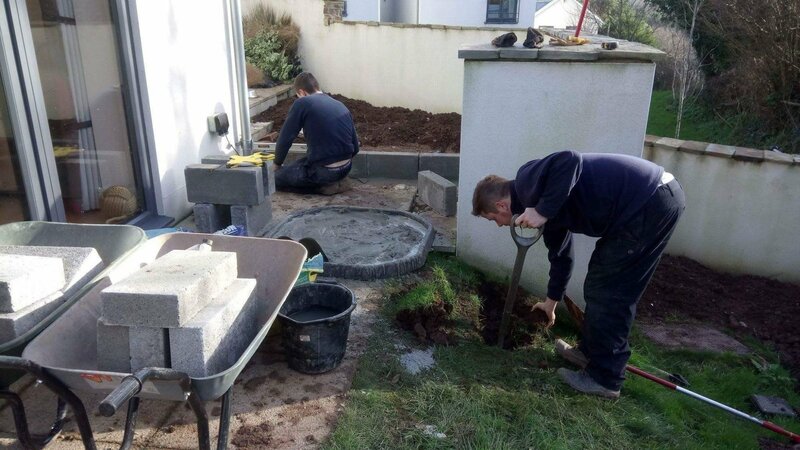 At the end of 2016, Pebbles' Gardening team was commissioned to do a complete redesign and landscaping of the garden at Salcombe Heights, a property with a sloped plot, typical of many of the houses in the South Hams. Beautifully located, the owners understandably wanted to make the best use of the garden, exploiting its assets for maximum enjoyment in the summer months. It is not a large garden, but that doesn’t mean it can’t be perfectly formed. It began by completely redoing the driveway, which was widened and extended for more parking and a bin store to make the front of the house tidier. The garden itself included a patio split into two levels, neither of which was wide enough to be functional. So we raised part of the patio to make it more suited to a table and chairs. 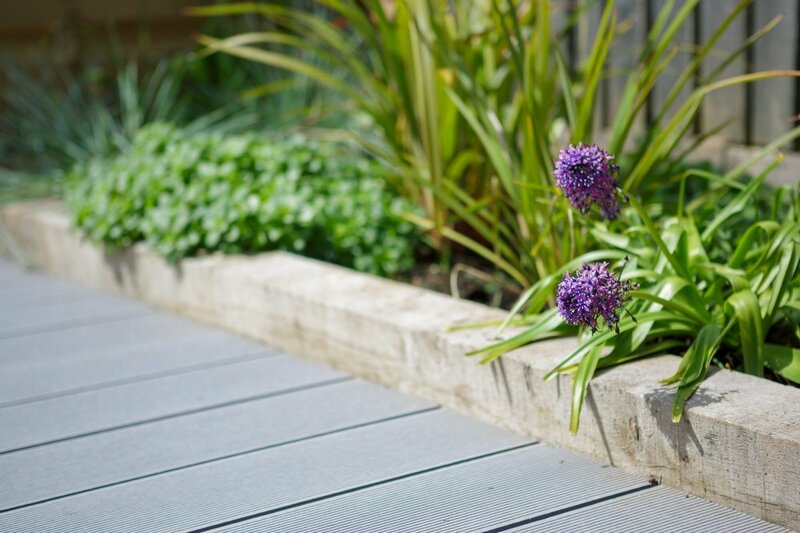 The lawn slopes on a steep gradient, so we put in a large composite wooden deck to provide two seating areas and a planting area. 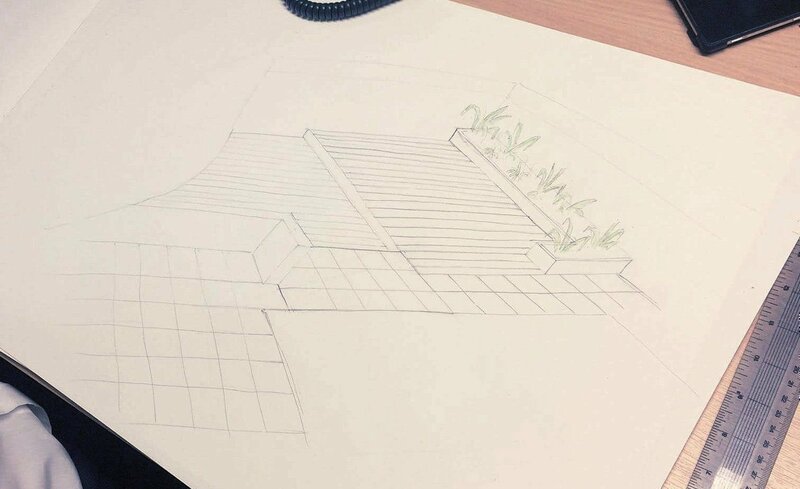 The idea to raise the height of the patio, build planters, and with the help of a stainless steel company, we set about building a new balustrade as well. Finally, we took out the old fence which was a solid panel construction, and installed something more modern that will allow more light in and show off the spectacular views. The end result will be a garden that’s infinitely more useable. 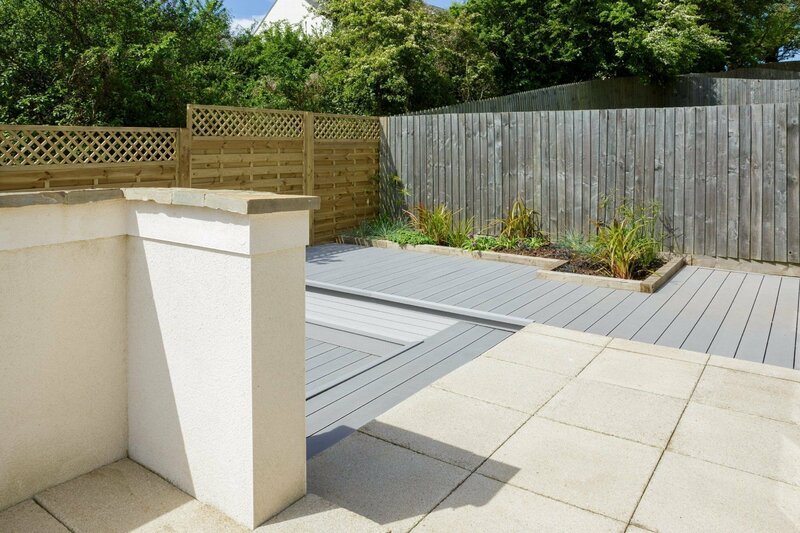 Our client couldn't use their garden because the patio was too small and the only grassed area was at an acute angle. It was a challenging project because of the many levels to build from and to. 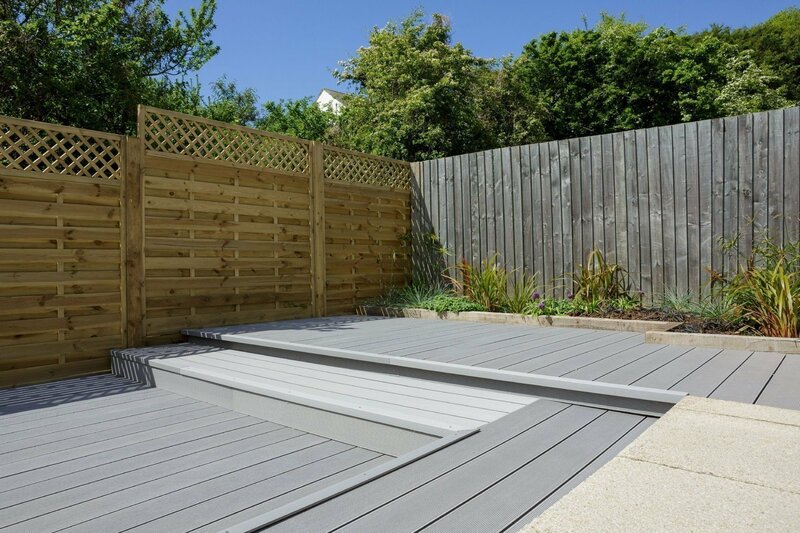 The decking chosen was of a high quality so a joy to work with. We brought in one of our stainless steel partner specialists to install the balustrade to match existing. The finished product complies with current Building Regulations.